Cake smash sessions are so much fun! and a perfect way to celebrate your little ones birthday. You are welcome to bring your own outfits, I do provide a selection of outfits or if you had something in mind let me know in advance- a big drink for your little one is a must. I clean up the mess and you are also welcome to take the smashed up cake home if you wish. 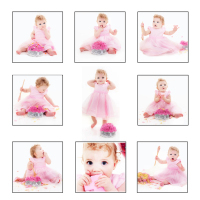 T's & C's - Please note - cake smash sessions are subject to change with no prior notice and the photographer will not be held liable for any cake slipages. Payments must be made in full during the cake smash session or prior to. Deposits are not refundable but maybe postponed and deposit retained if notice is given of at least 2 weeks. Dairy and vegan free cakes are available from my cake maker and a choice of theme/ colour/style.